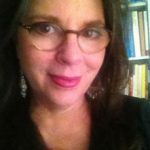 Dr. Sara Miller is a graduate of the Hudson Institute of Coaching, Santa Barbara; a Professional Certified Coach (PCC) with the International Coach Federation; and a credentialed Physician Leadership Institute coach. She is a pioneer in the field of coaching of doctors who are labeled as disruptive. Dr. Miller currently works at the University of Arkansas and is the principal investigator of a pilot program to create coaching cultures in early childcare organizations.